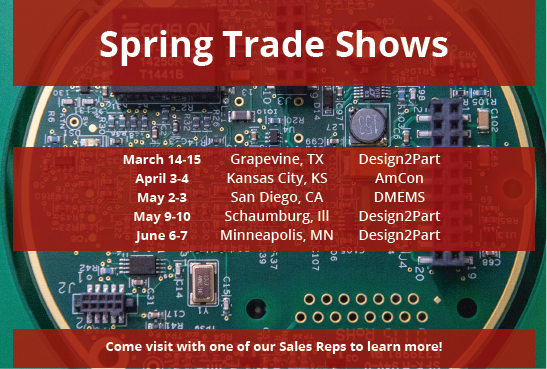 EI Microcircuits is about to kick off the Spring Trade Show Season! Come visit us to share more about your next project and learn about what’s new at EI Microcircuits! Click on the show below near you to find out more information and to register online. To setup an appointment beforehand, contact tomh@eisales.com.